The Budget on 22nd April was the legacy of the flawed bank bailout plan of October 2008. As John McDonnell said at the time of Darling's bailout, "this will deepen and lengthen the recession" and "will mean increases in taxes or cuts in public services". It didn't have to be this way. The Government could have nationalised the banks, used them to strategically invest in the economy, run them efficiently and allowed any profits to help restore government finances. Instead New Labour bailed out the banks, plunging us into massive debt, and took no direct control over them. Now, the government is further indebting the nation by spending billions bailing out the private finance initiative schemes which Brown told us would be better value for the taxpayer. With a national debt reaching £175 billion, the modest tax increase on the top 1 per cent of earners will raise around £5 billion to £7 billion. Not significant sums. Instead, buried deep within the Budget were £30 billion of public-sector cuts, which Darling calls "efficiency savings," and privatisations, which Darling calls "asset sales." The £14 billion of cuts will inevitably damage services and mean job losses, further sapping demand from the economy and undermining growth. The Government is privatising revenue generating state assets to plug the budget gap they created by propping up the banks. It is slaughtering the geese that lay golden eggs (including the Royal Mint, Royal Mail, the QE2 conference centre, Ordnance Survey and the Land Registry) in lieu of the banks' debts. Meanwhile in the real world they have done nothing to stop the recession hitting the most vulnerable people. Unemployment is now rising so fast that it might hit 3m by September and we are looking on course for 75,000 homes repossessed by the end of the year. In the first quarter of 2009 the repossession rate was 1,000 homes per week and rising – as more people slip into arrears. Nevermind though, without any obvious government direction or noticeable sign the economy will pick up towards the end of the year and recovery will magically emerge – if you live in the surely drug-induced world of Darling and Brown. The economy will shrink at over 4% this year, possibly nearer 5% - yet Darling says 3.5%, and growing again in 2010. So Darling will be back in November 2009 at the Pre-Budget report suggesting new tax rises and new cuts. Sadly my own union Unite seems as lost. It vacillates between endorsing BNP slogans and cuddling up to Digby Jones. The logic of this latter position is to call for the Government to subsidise companies putting workers on short-time. In return the Government gets nothing, doesn’t take a stake in return, doesn’t get a share of the profits – just subsidises wages on behalf of big business. The Woodley-Simpson-Jones tie-up is as ill-conceived as it sounds, even if the Government still had resources with which to subsidise the corporate sector. The Budget was described by LEAP economist Graham Turner as a "do-nothing Budget". It pins all its hopes on 'recovery' yet does nothing to create one. This was the last budget that has any time to take effect before a general election – and it went with a whimper rather than a bang. So it's up to us to create that bang. The stark reality of the economic crisis will force solutions. One will be further attacks on services, pay and a depression with all the societal ills that will unleash. The other is that the Government starts doing what it could have done 12 years ago: redistributing wealth, nationalising industry, directing investment and building a sustainable economy. It's socialism or barbarism – and all three political parties are signed up to the latter. Figures out today from the Council of Mortgage Lenders suggest that the number of homes repossessed in the UK rose to 12,800 in the first three months of 2009. This equates to 1,000 homes being repossessed every week, and is a 50% rise on 2008. In October 2008, when the 'nationalised' Northern Rock was repossessing homes at three times the industry average, LEAP called for a social conversion programme to convert homes at risk from repossession into socially owned council homes, with owners given secure tenancy. You can watch the video here. "It's difficult to comprehend why repossessions are still on this scale when supposedly many banks are in public ownership and Government measures are in place to prevent people losing their homes. "The Government measures are clearly not working effectively. We now need an immediate programme to convert homes threatened with repossession into social ownership with people staying in their homes." "The rising toll of repossessions is a direct result of Government inaction. If repossessions continue to rise at this rate then 75,000 homes will be repossessed this year. "Public ownership of the banks should bring benefits for the public - and since it was public money that bailed out the banks, it seems only fair that the Government ensures people stay in their homes." Fresh from lambasting the Tories policy vacuum - and their backbench MPs' attempts to remove the national minimum wage in our previous blog, the Government has now showed what value it attaches to the minimum wage . . . as little as 4p. The Government has announced the National Minimum Wage rates that will apply from October 2009. The adult minimum wage will go up by 7p, for 18-21s up by 6p and for under 18s just 4p. "This is a derisory increase which will leave many in poverty and do nothing to address the grotesque inequalities in our society. "Bankers are still walking off with massive bonuses and salaries, while low paid workers remain on the edge of poverty." Bob Crow said, "We have seen today that while MPs and MEPs have been lining their pockets at the tax payers expense there has been a massive increase in unemployment and the minimum wage, under pressure from the bosses, has been increased by a pathetic 7 pence an hour. It's no wonder people are so angry with the political elite." As Dave Prentis, Unison General Secretary, said: "It is hardly going to help low-paid workers pay the bills". Indeed, based on a 37.5 hour week, the new NMW rates equate to just £11,310 (over 21); £9,418.50 (18-21); or a paltry £6,961.50. They are a disgrace. By contrast, the London living wage introduced by Ken Livingstone and supported by Boris Johnson equates to £14,527.50. Thu 14 May update: John McDonnell MP, and other Campaign Group MPs have tabled EDM 1482 'National Minimum Wage Uprating' calling for an end to age discrimination in the NMW and for future increases to be above inflation and average earnings increases. And what of the Tories . . ? Or rather looking for Tory economic policy, as Prem Sikka writes in his open letter to David Cameron, posted on Comment is Free. The Tories seem quite content (and quite likely) to ride to power on the back of Labour unpopularity - but where are their policies? The only sign we have of any emerging policy is from a backbench Tory private members bill, due for debate this Friday (but unlikely to be reached) to scrap the minimum wage. Imaginatively titled the Employment Opportunities Bill, Tory MP Christopher Chope's Bill proposes to enable employers to 'opt-out' of the National Minimum Wage. If you want to register your opposition there's a website been set up www.wageconcern.com. Here's the first selection of videos from the morning plenary session of the LEAP Conference 'Capitalism Isn't Working' which took place on Saturday 25th April at Birkbeck College, London. There's the opening address from LEAP Chair John McDonnell MP, followed by excerpts from the opening plenary 'Who Pays for the Crisis?' with panellists Penny Cole, Rahila Gupta, Richard Wilkinson, and Matt Wrack. In January this year, LEAP published research for the RMT 'Rail passenger use and the economy'. We found that there was a correlation between rail passenger use and economic growth over the last 20 years. franchises are expected to receive either lower subsidies in 2008/09 or to pay higher premiums to the DfT. 3. Raising rail fares, which could drive passengers from the rail into private transport"
Since that report was published our unpalatable predictions have been proven correct. 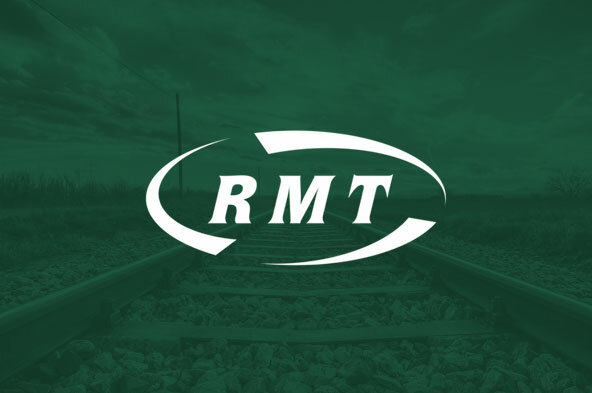 The RMT is in dispute with several franchises and Network Rail, as thousands of rail jobs are under threat. Labour affiliated rail union TSSA has called for the "do-nothing minister" (Transport Secretary Geoff Hoon) to be sacked. TSSA General Secretary Gerry Doherty said: "I can see why everyone calls him Buff Hoon. He simply refuses to do anything on behalf of our members to protect their jobs or the general public to protect them from unwarranted fare increases"
Unregulated rail fares will go up by up to 11% in the summer. Corporate profitability is protected as rail staff are sacked and passengers fleeced. The Government - subsidiser and regulator - does nothing. Even more worryingly, rail and bus operator Go-Ahead is now calling on the Government to cut free travel for pensioners. Not content with meetings with Hoon, RMT and TSSA members are lobbying Parliament tomorrow (Tue 5 May) 'For A People's Railway'. See the RMT website for full details. On International Worker's Day, there's some fantastic news that Ford Visteon workers who have been occupying and picketing their factories to defend their jobs may have won a victory due to their persistence. Find out more from the Unite website. Speaking from the May Day Rally in Trafalgar Square London, John McDonnell said their victory demonstrated "the power of workers' solidarity, 'united we stand divided we fall', 'unity is strength', 'an injury to one is an injury to all', 'the people united will never be defeated. But while trade unionists in London were celebrating the hard won victory of 600 Ford Visteon workers in plants at Basildon, Belfast and Enfield, it has emerged that city workers in the banking sector are in for another billion pound round of bonuses. According to the Office for National Statistics, city bonuses will be £7bn this year. John McDonnell MP and other Labour MPs have tabled EDM 1412 'City Bonuses' calling on the Government to "act immediately to introduce a windfall wealth tax on these bonuses" and "to nationalise the financial sector to protect the taxpayer, save jobs and ensure profits are used to fund public need rather than private greed." "when transnational corporations are deciding where to cut jobs, it is in their interests to choose British workers who are less likely to be unionised and where they have the lowest legal commitments to fulfil." I wrote that as it was a logical conclusion given that, as Gordon Brown boasted to the CBI, the UK has "the most flexible labour market in Europe." Today it was reported that "Britain lost more than 63,000 jobs at the start of this year, by far the most in Europe. Our cut-backs accounted for more than a quarter of the 220,000 jobs lost in the EU." That is a direct result of this New Labour government refusing to restore trade union rights. It also shows if workers are to win they need to stand in solidarity, not behind their union's obsequiousness to New Labour.